6The Department of Occupational Science and Occupational Therapy has had the privilege of educating many wonderful individuals. The pictures of our graduating classes are proudly hung in the ‘graduate corridor’ on the 9th floor (please come and see them). Among our graduates have been some of the most illustrious occupational therapists in the history of the profession in Canada. Archie has had an illustrious career after graduating from the physical and occupational therapy program at U of T in 1963. She has a Masters and PhD in Human Anatomy from the University of Manitoba and was the director of their School of Medical Rehabilitation from 1999 – 2005. She is currently Professor Emeritus. She is widely recognized for her research on a broad range of topics, including work disability prevention, biomechanics, kinematics, musculoskeletal disorders, evidence-based practice, and the evolution of professionalism. After being highly involved for many years in Research Canada, and the Institute of Musculoskeletal Health and Arthritis, Canadian Institutes of Health Research, she was awarded the 2013 YMCA-YWCA Women of Distinction Award in the Science, Technology, and the Environment category. Archie was also a member of the University of Manitoba’s Senate and Board of Governors for many years; in 2012 she received the Peter D. Curry Chancellor’s Award for her contributions to university governance. She has boundless energy and has contributed significantly to the development of the OT profession in Manitoba. She is currently president of the Canadian Occupational Therapy Foundation. In 2012, Archie received the Muriel Driver Memorial Lectureship award in recognition of her many achievements. Renowned in the areas of research, education, and practice, it is not surprising that Juliette (Archie) Cooper is considered a national leader in the field of OT. 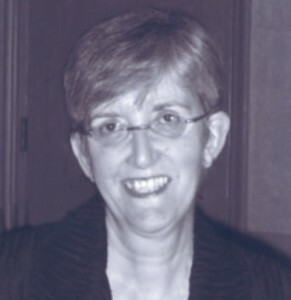 Bonnie graduated from U of T’s occupational therapy program in 1977. She practiced in the area of mental health at the Clarke Institute, Queen St. Mental Health Centre (which have now merged into The Centre for Addiction and Mental Health), and Community Occupational Therapy Associates (COTA) in both clinical and managerial roles, prior to joining the faculty at U of T.
Currently, Bonnie teaches the mental health component of the OT curriculum, and supervises graduate students in their research regarding mental health, addictions, homelessness and occupational engagement. Her own area of research focuses on work and mental health, and includes such topics as: supporting people with severe mental illnesses in obtaining and maintaining work, developing social policy that enables people with mental illnesses to actively engage in work, constructing organizational cultures that promote mental health, reducing stigma in workplaces, and supporting university students with mental health problems to succeed in their educational pursuits. Bonnie has been a member of the Mental Health Commission of Canada since its inception, and she has been an active advocate for the occupational needs and rights of people with mental health issues. She continues to conduct research in partnership with the Commission and has been an invited speaker at national and international conferences concerned with occupational and workplace mental health. 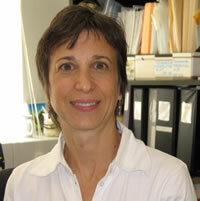 In 2013, she was awarded the Physical and Occupational Therapy Alumni Achievement Award. 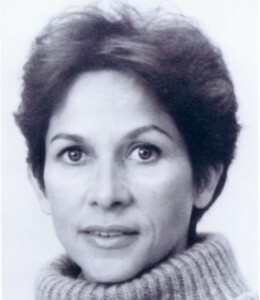 Elizabeth graduated from the University of Toronto with a Diploma in Physical and Occupational Therapy in 1967 and a Bachelor of Science in Occupational Therapy in 1979. She received a Master’s degree in Adult Education from Saint Francis Xavier University, Antigonish, Nova Scotia, and her Ph.D., from Dalhousie University in 1994. She is a founding member of the School of Occupational Therapy at Dalhousie University, Halifax, Nova Scotia, and later became Director. In 1993 she was the Muriel Driver Memorial Lecturer. She has been Chairperson of CAOT’s Client-Centered Practice Committee since 1990, has been a key contributor to all the generations of the Occupational Therapy Guidelines for Client-Centered, including Enabling Occupation: An Occupational Therapy Perspective. Most recently she has been co-authoring, with Dr. Helene Polatajko, the sequel to the enabling document for the Canadian Association of Occupational Therapists. This was a national initiative that captured the latest developments in occupational therapy practice, research and education through national consultation, and is destined to shape occupational therapy practice, not only in Canada, but around the world. Elizabeth is a past Thelma Cardwell Lecturer at U of T.
Thelma has had a stellar career since she graduated from the occupational therapy program at the University of Toronto. Her major contributions have been in the area of psychiatry and client-centred practice. She was a key player in the creation of the Occupational Therapy Guidelines for Client-Centered Practice and has written text books on the topic, including Client-Centered Practice in Occupational Therapy: A Guide to Implementation (2006). Thelma contributed to advances in academic standards and accreditation of the profession with her Procedure Manual for the Accreditation of Undergraduate Occupational Therapy Programs. She has held many leadership positions in the profession both in the clinical and academic realm, both in Canada and abroad. In 1986, Professor Sumsion became Occupational Therapist-in-Chief at the Clarke Institute of Psychiatry, Toronto, Ontario. From 1988-1990, she was President of CAOT. She is currently Associate Professor, and Director of the School of Occupational Therapy at the University of Western Ontario. Overseas, she led programs at Brunel University and Barts and the London School of Occupational Therapy. Professor Sumsion was the 1986 Muriel Driver Memorial Lecturer. 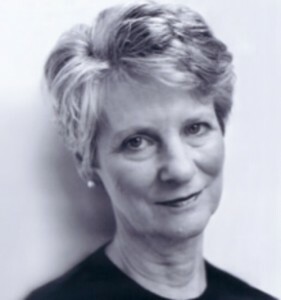 Judith graduated from the physical and occupational therapy program at the University of Toronto in 1960. She worked for a few years in psychiatry following graduation, stayed home to raise her three children, and returned to practice in 1977. She worked at COTA until she joined the faculty of the occupational therapy program at the University of Toronto (U of T) in 1982. 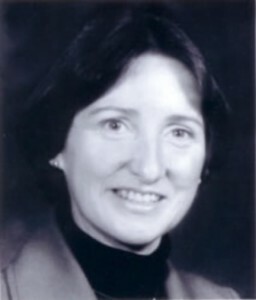 In 1991, after a period as acting director, she assumed the role of director of the division.During the years that she led the program, she was instrumental in gaining departmental status for the program, changing its structure and the method of delivering its curriculum, and developing the proposal for a Master’s in Occupational Therapy. Judith also worked on the development of the Graduate Department of Rehabilitation Science, and established the Thelma Cardwell Lectureship. Professor Friedland’s primary research interests have been in the psychosocial aspects of physical disability, illness, and aging with a focus on social support, coping, and quality of life. A secondary research interest, in the early history of the profession, has now become primary. In her refereed papers and in presentations, she has examined the historical and ideological conditions that gave rise to our profession, and described its early development. This work culminated in the publication by McGill-Queen’s University Press in 2011 of her book, Restoring the Spirit: the beginnings of occupational therapy in Canada, 1890-1930. Professor Friedland has served on many community and professional committees and boards. She was a member of the Health Sciences Research Ethics Board at U of T for 12 years and was its chair from 2007 to 2013. She is included in the Canadian Who’s Who, has been awarded Honorary Life Membership in the Ontario Society of Occupational Therapists, received the Physical and Occupational Therapy Alumni Achievement Award, a mentoring award from the department of Occupational Science and Occupational Therapy, and an Arbor Award from the University of Toronto. In 2003 Professor Friedland was named the Muriel Driver Lecturer and became a Fellow of the Canadian Association of Occupational Therapists. In 2004 she became Professor Emerita and in that capacity she continues her research and assumes various administrative roles. She is currently the chair of the Research Ethics Policy and Advisory Board at U of T, and chair of the Ethics Review Board for Public Health Ontario. Sharon is a graduate from the University of Toronto program in physical and occupational therapy, and is an outstanding member of the faculty at the University of Alberta. She has been President of CAOT, Director of the Occupational Performance Analysis Unit, consultant to the National Institute of Disability Management and Research (NIDMAR) and has qualified in the Alberta Court of Queen’s Bench as an expert in occupational performance and functional assessments. Professor Brintnell has played a major role in the creation and ongoing development of the Occupational Therapy Guidelines for Client-Centered Practice; chairing the volume on mental health and being a contributing author to Enabling Occupation: An Occupational Therapy Perspective, the next generation of the Guidelines. In 1983, largely through the efforts of Sharon Brintnell, a grant was received through the R.S. McLaughlin Examination and Research Centre in Edmonton to support funding for a national certification examination in Occupational Therapy. Her tremendous contributions were recognized when she was awarded the Muriel Driver Memorial Lecturership in 1985. Since 2000, she has been honorary treasurer of the World Federation of Occupational Therapists (WFOT), where she is playing an active role in occupational therapy development world-wide. Professor Brintnell is particularly interested in the impact of disability and handicap on productivity roles, the application of international community development strategies in community-based Rehabilitation (CBR) and international models of occupational therapy education and service. Barbara is one of Canada’s occupational therapy pioneers. She began her career in 1958 when she received a Diploma in Physical and Occupational Therapy at the University of Toronto. Since then she has had an active career as an occupational therapy pioneer in practice, research, education and professional affairs. In 1977, while Assistant Professor, School of Rehabilitation Therapy at Queen’s University, she also received the highest honour of the OT profession, the Muriel Driver Memorial Lecturer. In 1982, she went to Dalhousie University, as the Founding Director of the School of Occupational Therapy, where she introduced an innovative curriculum model organized around concepts of occupation. On her retirement from Dalhousie University, she was appointed professor emerita. 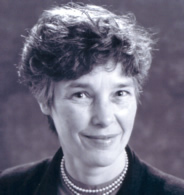 Professor O’Shea served as President of CAOT from 1977 to 1978. She also acted as the WFOT delegate for Canada. She received a Life Membership in CAOT in honour of her vision, energy, and organizational work on behalf of Canadian occupational therapists and the people who use our services here and world-wide. Thelma was a major leader in the profession of Occupational Therapy, both in Canada and internationally. Graduating with a Diploma in Occupational Therapy from the University of Toronto in 1942, she held several clinical positions before her service as Lieutenant (OT) in the Royal Canadian Army Corps, in the U.K. 1944-45. Her academic career began upon her return to Toronto in 1945 and with one brief absence, she remained at U of T until she took early retirement in 1983. She held the position of Acting Director of Occupational Therapy from 1981-1983. Thelma was the first OT, non-physician, woman to become president of the Canadian Association of Occupational Therapists (CAOT) in 1966. She was President of the World Federation of Occupational Therapists from 1967 to 1972, and co-founder, Canadian Occupational Therapy Foundation and its Vice-President from1983 to 1985. Thelma was made a life member of the CAOT and Ontario Society of Occupational Therapists. She was a recipient of the Queen’s Silver Jubilee medal in 1977, and Honorary Fellow, World Federation of Occupational Therapists. She was honoured by the Occupational Therapy Department at the University of Toronto and her many colleagues in the profession through the establishment of the Thelma Cardwell Lecture Series, at the University of Toronto in 1977. Her LLD was given by Dalhousie University. Isobel graduated from the occupational therapy program at the University of Toronto in 1939. After an exciting practice career , she took on the Directorship of the program and held that position from 1967 to 1981, when she retired and was made a Professor Emerita. 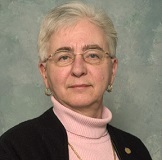 She has contributed to the profession as an Associate Editor of CJOT, and serving on the CAOT Board of Directors as both director and officer, and representing Canada on the Council of the WFOT. 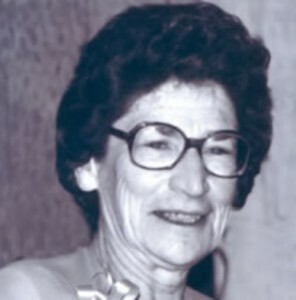 In 1981, Isobel was appointed the first archivist of CAOT. In 1983, withtwo occupational therapy colleagues, she founded the Canadian Occupational Therapy Foundation (COTF). Professor Robinson’s work has been recognized with numerous honours and awards including the Muriel Driver Lectureship, which was bestowed on her in 1981. Along with long time colleagues and friends, Thelma Cardwell, Sharon Brintnell and Helen Madill, Professor Robinson authored and produced the video Fifty Years of Occupational Therapy in Canada. Her LLD is from University of Alberta. Helen was a visionary occupational therapist, who is world-renowned. She graduated from the first Diploma Course at the University of Toronto in 1928 and was Professor and Director of Occupational Therapy from 1933 to 1967. Helen was dedicated to the development of occupational therapy and devoted much energy to the improvement and maintenance of occupational therapy standards. She received many awards for her contribution from both within and outside of the University of Toronto. The Canadian Association of Occupational Therapists (CAOT) created the Dr. Helen P. LeVesconte Award of Merit in her honour.